View PDF version. Lead essay in a book on the San Francisco Public Library building. Greenwood Press, 2003. View online version. Foreward. With Mark Dean Johnson and Tillie Olsen. View PDF version. Introduction. Heyday Books, 2001. Chapter in a unpublished catalogue for an exhibition on the Phoebe Hearst International Competition for the University of California, University Art Museum, Berkeley. San Francisco, Tapestries Publishing, 2000. View online version. Chapter: "Politics and Modernism: The Trial of the Rincon Annex Murals." A collection of essays by national scholars. University of California Press, 1996. View PDF version. 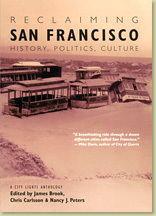 Chapter: "San Francisco: The City Beautiful." Exhibition catalog for the San Francisco Museum of Modern Art. Prestel Verlag, Munich, 1990. View PDF version. Chapter: "Grace Marchant and the Global Garden." M.I.T. Press, 1990. 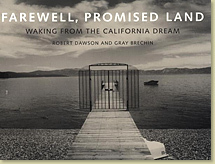 Chapter: "Urban Waterfront Restoration on the California Coast." California Coastal Conservancy, 1985.